Many have asked “will there be a Modern Warfare 3“, no one has had an answer, but it appears that Call of Duty: Modern Warfare 3 may indeed release this year. 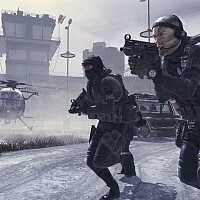 When Infinity Ward, the developer behind the Call of Duty series, crumbled under pressure last year as two studio executives left under a shroud of legal mystery, many were expecting the 2011 iteration of the Call of Duty franchise to be an entirely new, space-age shooter developed by Activision-Blizzard’s recent acquisition, Sledgehammer Games. According to the Los Angeles Times, the futuristic title will be pushed back to allow Sledgehammer to aid Infinity Ward with Modern Warfare 3. 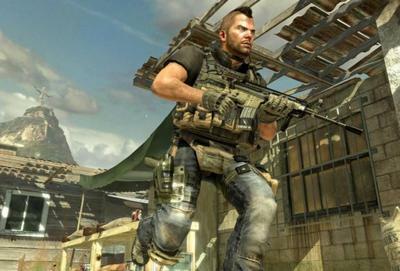 Activision-Blizzard stated that the massive loss of talent on Infinity Ward’s staff would not affect the studio’s output in the beginning, though it is now apparent that the remaining staff needs help considering the fact that the developer needed no help to produce Call of Duty 4: Modern Warfare and Call of Duty: Modern Warfare 2. Sledgehammer Games employs knowledgeable and experienced developers, mainly because Activision stole them from their chief competitor, Electronic Arts. Though no specific source was identified, it appears as if Sledgehammer will be working with Infinity Ward to create the campaign, while Wisconsin-based Raven Software will construct the multiplayer component. Training new studios to understand a new environment of high pressure would be a great thing for the massively successful gaming franchise. Allowing Sledgehammer and Raven to collaborate with experienced Infinity Ward staff members will most likely make future games as good as their predecessors. The game publisher, Activision-Blizzard, would be foolish to cease releasing Call of Duty titles annually considering the fact that Black Ops, developer Treyarch’s creation, sold 12 million units already, while Infinity Ward’s latest titles have sold 13 and 20 million units respectively. Activision-Blizzard has not confirmed the content of this year’s release, though it is expected to come out in November, maintaining the annual release cycle that the enormously popular franchise is on. What do you, fellow gamers, think? Will Modern Warfare 3 be a massive failure considering the fact that it is one of the first collaborative Call of Duty games? Would you rather see the space-age shooter or the next iteration of the Modern Warfare series? Let us know in the comments below.